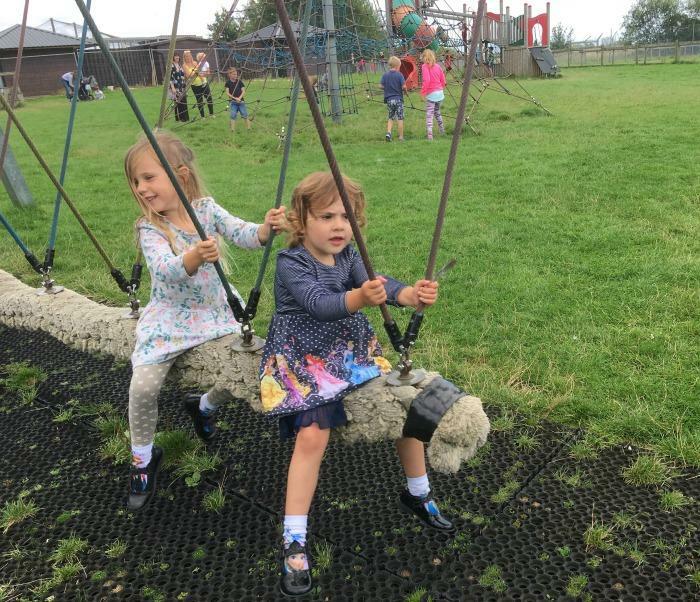 Days out always feature in our summer, and over the school holidays we were offered the opportunity to visit Hamerton Zoo Park, which was a new attraction to us. I have to admit I’d not heard of it before, but as I was in the market for taking the girls somewhere new we were happy to accept the invitation. I made up our packed lunch and got the girls ready for the car journey. I took all the usual precautions of making sure they had snacks and toys to keep them busy in the back of the car, but they were having none of it. For pretty much the entire trip to Hamerton Zoo Park they were trying to tear strips of each other. Arms and legs were flying everywhere, and no amount of strong talking from Mummy was going to put an end to it. To say I was relieved to arrive at Hamerton Zoo Park was an understatement. I unleashed the girls from the car and they spotted the zebras straight away. All our spirits began to lift as the thought of seeing more animals began to get both me and the girls excited. First off all, we headed towards the picnic area, as it was pretty much the girls lunch time when we arrived. Everyone else had had the same idea as well, so it was pretty busy to be fair. 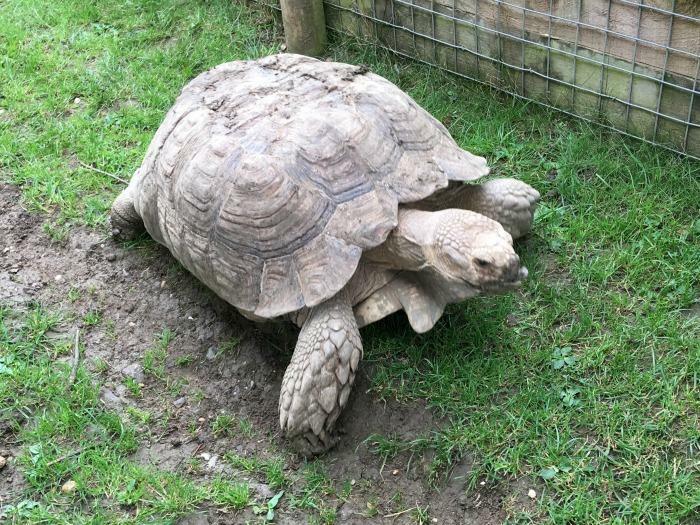 If you find this on your visit to Hamerton Zoo, there are quieter picnic areas dotted around the zoo worth hunting out. 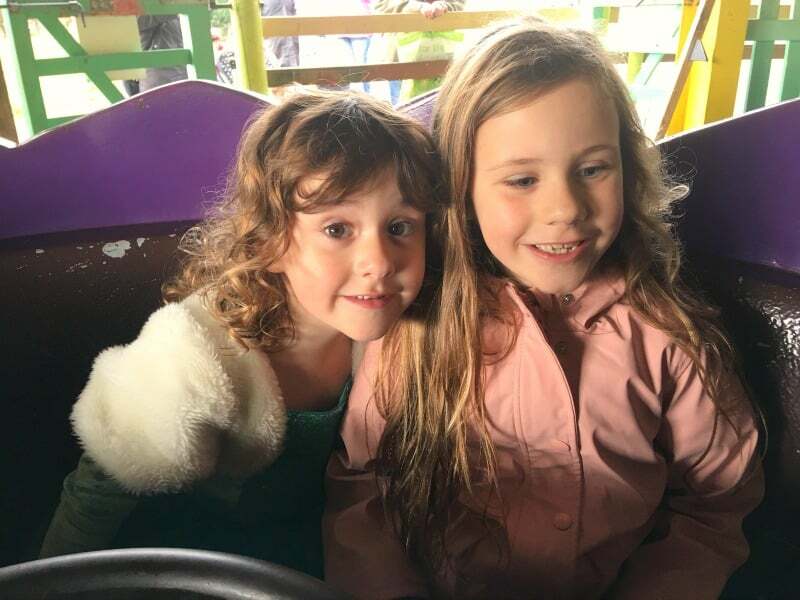 The girls wanted to play on the park, which I was in favour of as it gave me a chance to recharge my Mum batteries after a more than challenging car journey with them. As soon as they were running free, it was like they had never fallen out. They are quite a pair to be honest. After our picnic, we were keen to get started looking at the animals. 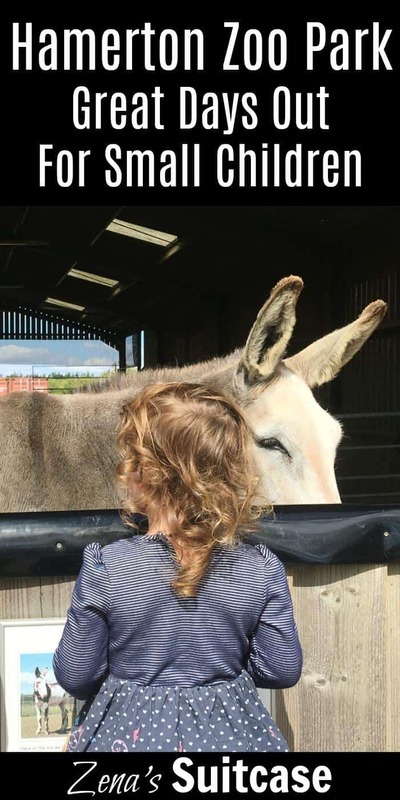 You can get really close to the animals at Hamerton Zoo Park, which really added to our family day out. They have a lovely collection of primates, which seem to be up for a game of peek a boo if you catch them in the right mood. We have to give a special shout out to the chipmunks. The girls are huge fans of Alvin and the Chipmunks, so it was nice to show them what a ‘real’ chipmunk looks like and how they behave. We also really enjoyed the giant tortoises. We thought they would just plod around their enclosure, but actually these guys can really move. At one point we thought the pair were having a race! It definitely gave us a lot to talk about. There are lots of feeding slots with different animals throughout the day, and we decided to go and see the cheetahs being fed. 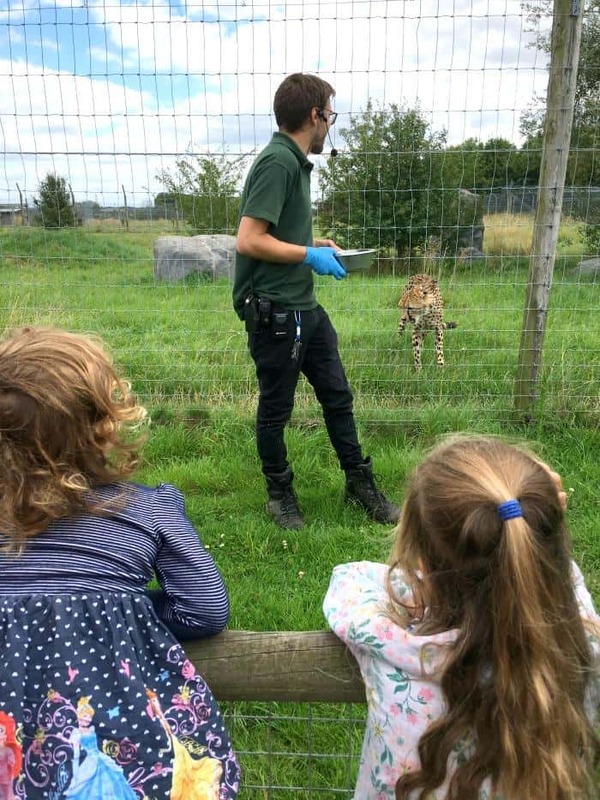 The zoo keeper talked to us about the pair of cheetahs that live at Hamerton Zoo Park and also the work the zoo does to raise money to protect them in the wild. 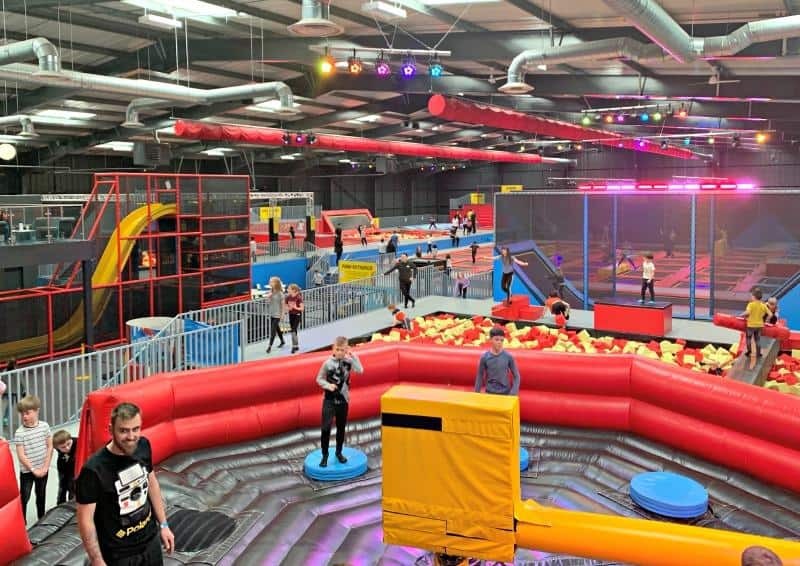 They had raised £8000 with different charity events, including a sponsored sky dive. The animal I was most excited to see was the giant anteater. They look so different to everything else, and I think they are really interesting. The girls could see him through the glass lookouts and we talked about his interesting features with great amusement. The girls caught sight of the land train that goes around the zoo, and they were keen to get on it. We did a circuit of the zoo that lasted about 10 minutes, and the girls thought it was brilliant. The cheesy train music was also a big hit and they were soon singing along! Next stop for us was the big cats. Hamertoon Zoo Park is home to 2 Malaysian Tigers and 2 White Bengal Tigers. They are pretty magnificent creatures, and it’s incredible to be able to get so close to them in this way. With them being so endangered in the wild, zoo’s play an important role in their protection. One of the hightlights of our day was the Stroll-a-Safari. As well as camels and the Baudet-du-Poitou donkeys we also found a small heard of pygmy goats roaming free. The girls loved this, and thought that they could chase the goats all over. I turned my back for a second and Brook was halfway up the enclosure in hot pursuit of a little goat cackling away to herself. Once I’d got the girls to understand that chasing the goats wasn’t a great idea, we got some food from the 20p machine and they tried feeding them. This did have varying degrees of success but was lots of fun for the girls. To be fair, I really enjoyed it too. Just before we left the zoo, we also got chance to see the otters, who had been hiding the first time we passed their enclosure. 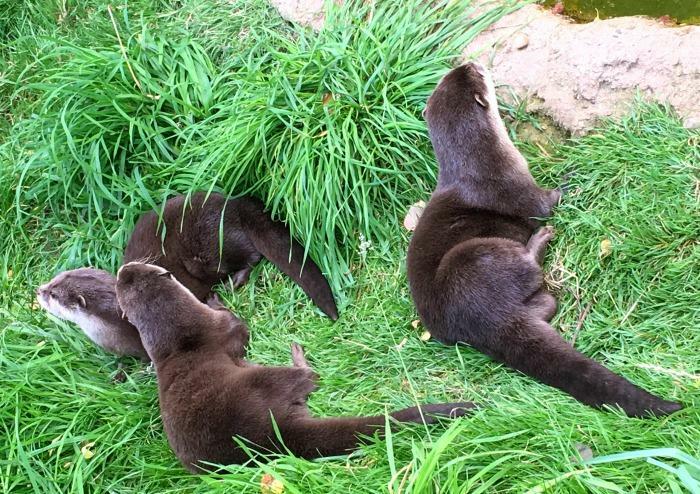 After all our otter spotting over Dartmoor during the summer it was nice to see some real ones up close. Fortunately, the girls were much better behaved on the way home, mainly because they fell asleep after a busy day at the zoo. Daddy was a bit cross when we got home, as it can really throw their bedtime routine if they take a nap, but when I pointed out what the alternative was he soon backed down. 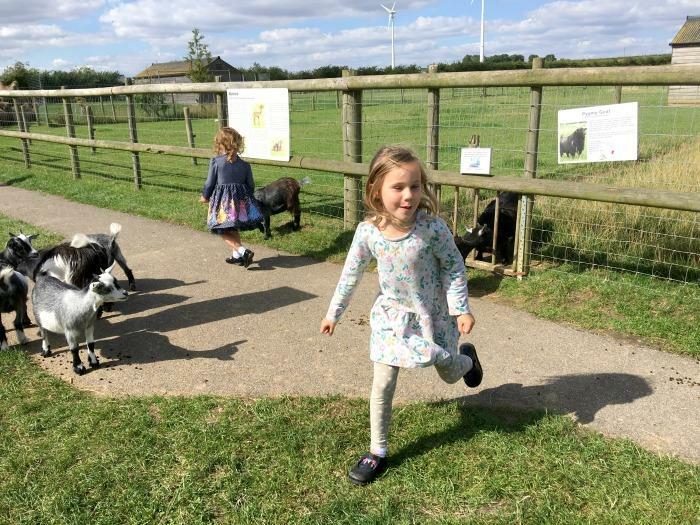 We had a really lovely time at Hamerton Zoo Park, which really helped to make up for the stressful time we had had getting there. 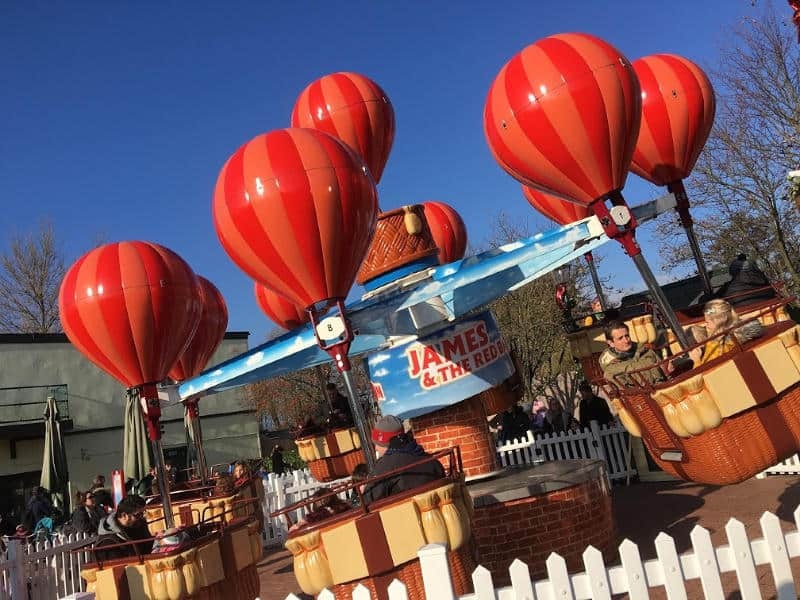 It’s a great zoo for small children as it’s really easy to walk around, making for a perfect day out. The outdoor play park is a lot of fun for kids and a great place for them to burn off some of their energy too. There is also a cafe at Hamerton Zoo Park where you can buy drinks and a selection of hot and cold snacks. We popped in for a drink and some cake during the afternoon when I needed a coffee boost! 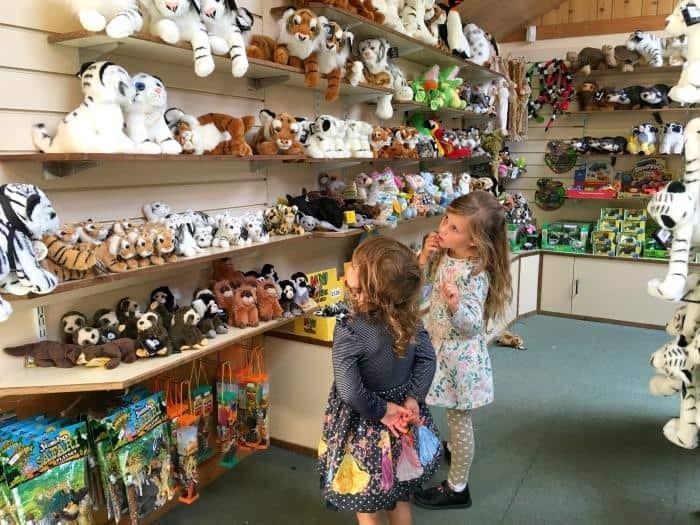 They also have a lovely gift shop with a huge selection of animal themed toys and gifts from pocket money prices and upwards. The girls picked out some small animal cuddly toys and a purse each to bring home from their day out which they were super happy with. 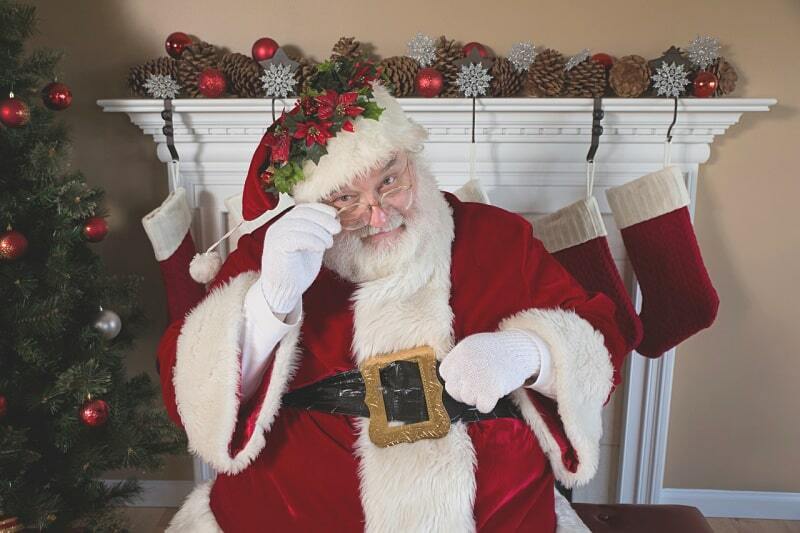 If you enjoyed this post, why not share it with your friends and followers! 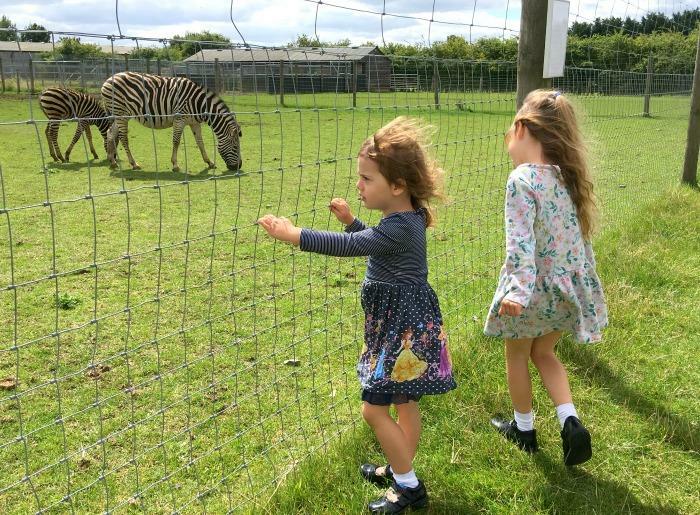 We were provided with a complimentary family ticket and £25 voucher to spend at Hamerton Zoo Park in return for this review, but all thoughts and opinions are our own. 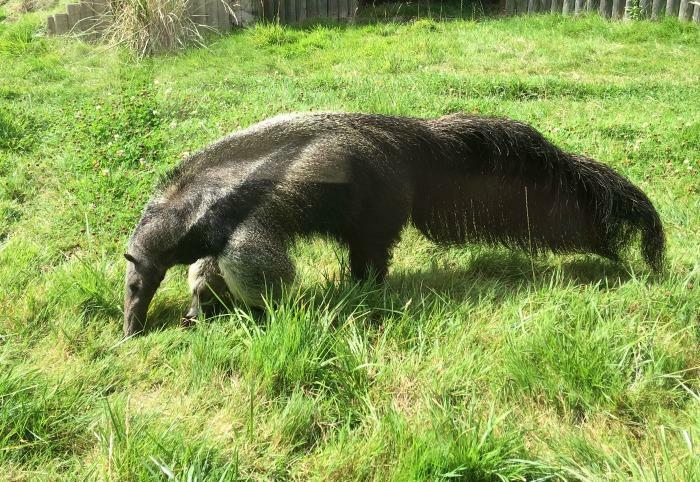 This looks like a great day out for all the family – we love to visit zoos like this and I agree…seeing an anteater is exciting because you rarely get to see them! This looks like a really lovely day out. Thanks for the recommendation. Sounds like a fab day out. We love visiting zoos and seeing different animals, although BattleKid’s personal favourites are always penguins. I’d have loved to see the cheetah feeding. They’re my favourite animal! 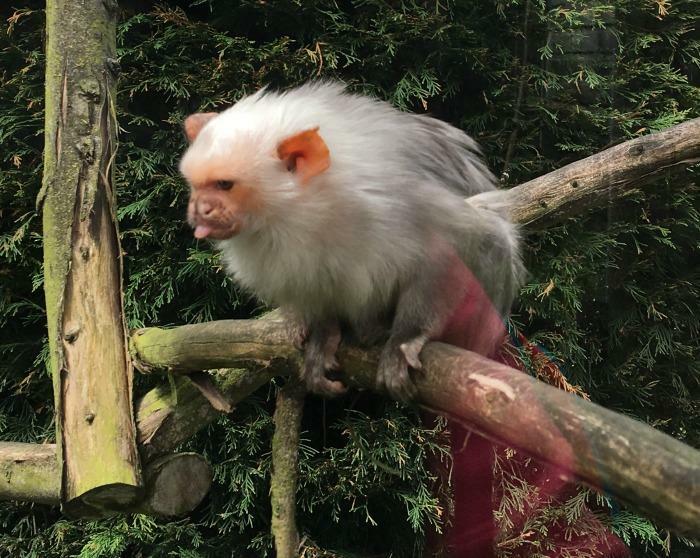 I love visiting Zoos and this is the first I have heard of Hamerton Zoo Park. It looks like you all had great fun and you pictures are stunning. Esthy recently posted…Do You Want Career Success? Then Pay Attention to This ONE Word! That looks like such a nice day out. Love the zebras. Lovely pictures and a fun day out by the look of it !